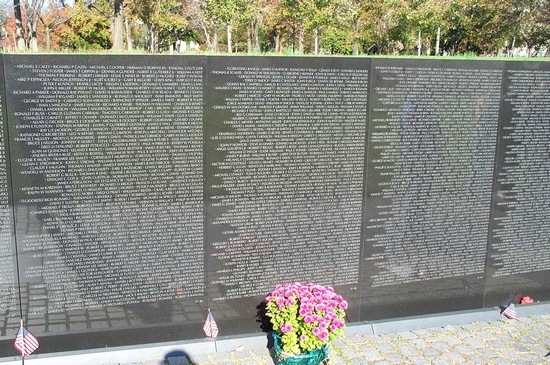 In commemoration of Memorial Day (two days ago), these are photos of the Vietnam Veterans Memorial in Washington D.C. taken in 2003 during a weekend getaway. 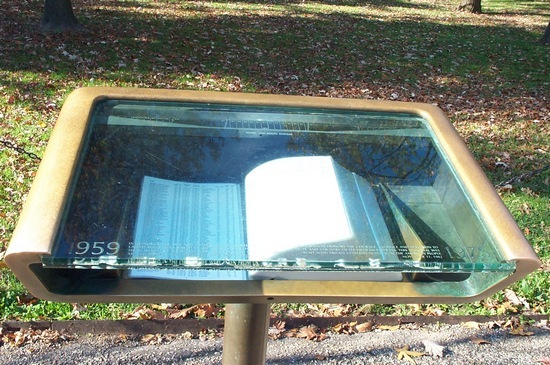 This memorial honors the more than 58,000 soldiers who perished or were MIA during the controversial war. 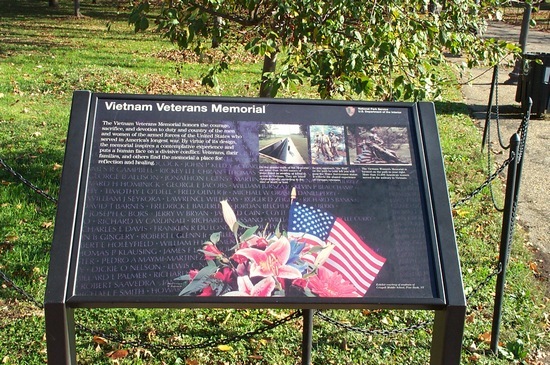 Sign at the “entrance” of the Vietnam Veterans Memorial in Washington D.C. 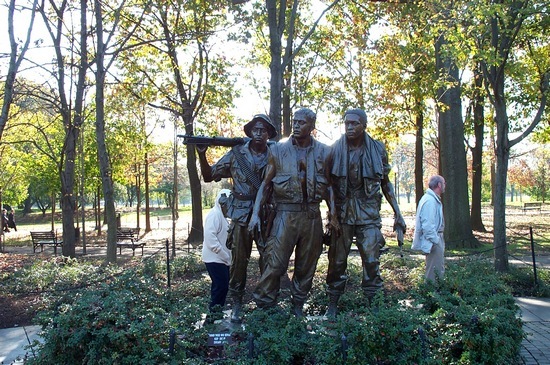 Surviving veterans were amongst the tourists, openly reminiscing about their tour of duties and buddies they lost. 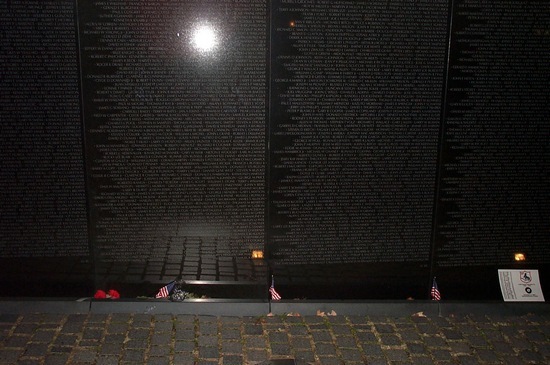 Mementos such as flowers, photographs, and flags were left at the base of the wall. 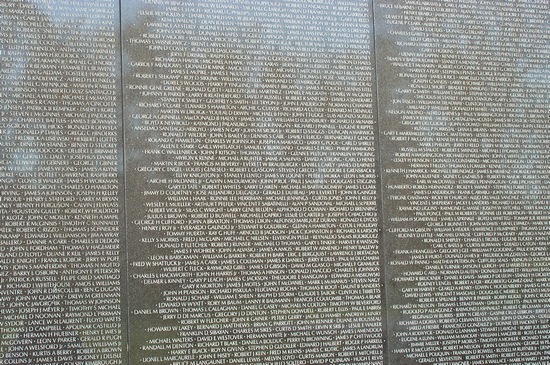 One man was on a ladder scratching the name of a veteran onto paper with a pencil. 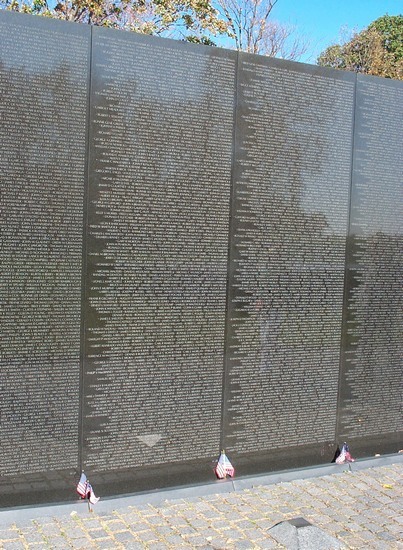 Walking the entire length of the Memorial Wall and seeing panel after panel of names was quite a humbling experience. 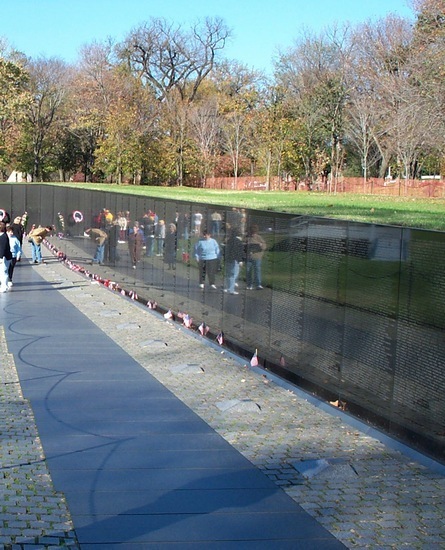 This memorial is definitely a must-see if you are visiting D.C.! 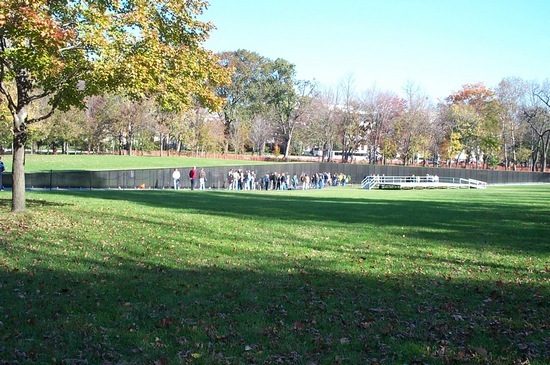 Tags: The Wall, Vietnam Memorial Wall, Vietnam Veterans Memorial, Washington D.C.